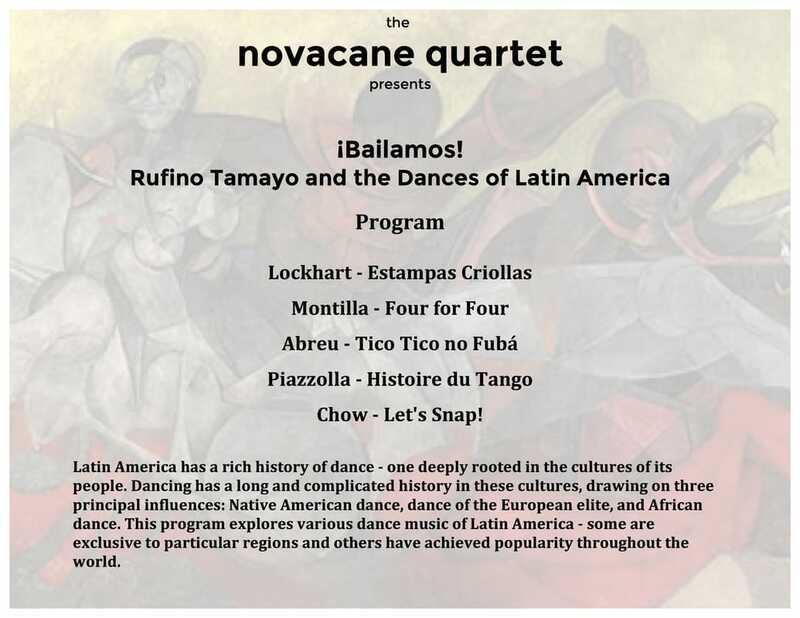 ​Latin America has a rich history of dance - one deeply rooted in the cultures of its people. Dancing has a long and complicated history in these cultures, drawing on three principal influences: Native American dance, dance of the European elite, and African dance. Today’s program explores a variety of Latin American dance music - some are exclusive to particular regions and others have achieved popularity throughout the world. Mary Louise McLaughlin and Maria Longworth Nichols Storer share more than a namesake. Both were born to wealthy Cincinnati businessmen in the 1840s. Both had a keen interest in and a talent for creating art our of ceramic pottery. The two women also shared a bit of friendly rivalry between their pottery clubs. This rivalry inspired each to create her best art, starting an art pottery movement that would sweep the United States. 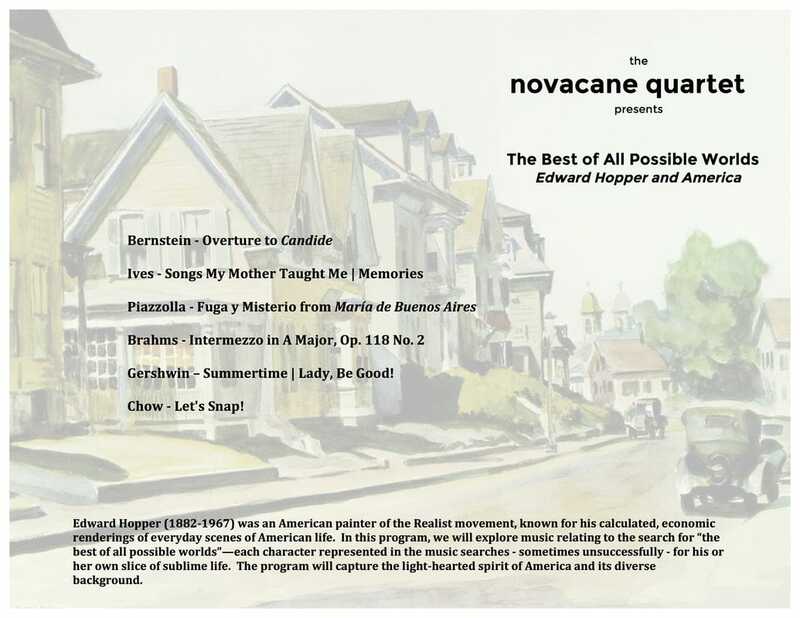 This program features the music of women composers, composer rivalries, and fugues. Today in the Miller Gallery, we invite you to indulge your senses in a presentation where you will be simultaneously surrounding and surrounded bygreat local art. 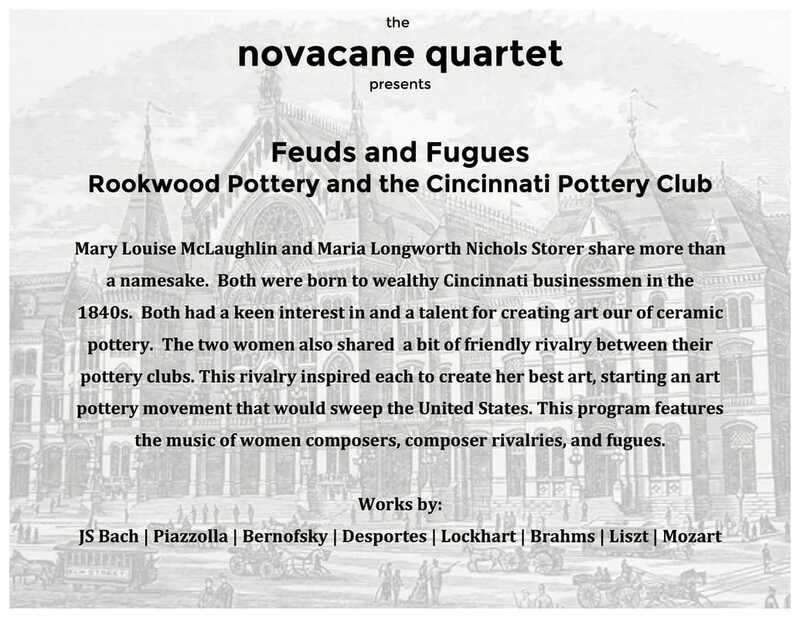 Please feel free to move around the gallery and survey the latest creations by members of the Local Clay Potters’ Guild, and, as you explore the beautiful sculptures surrounding you, experience music by Bloomington’s Novacane Quartet. 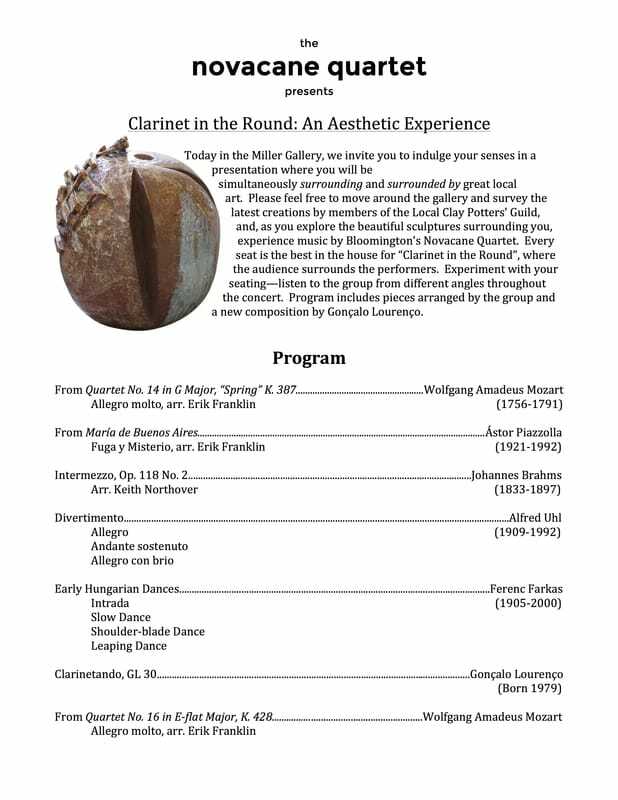 Every seat is the best in the house for “Clarinet in the Round”, where the audience surrounds the performers. Experiment with your seating—listen to the group from different angles throughout the concert. Program highlights include arrangements by the group and a new composition by Gonçalo Lourenço. °ˇJunYi Chow - Let's Snap!